Conserving energy in a commercial building is a challenge in itself, but when you don’t know where you’re losing energy it’s almost impossible to make the changes that you need to, in order to save money. 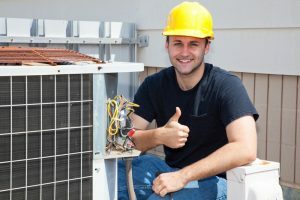 Valley Mechanical is a leading HVAC company in San Jose, and one of our primary focuses is providing you with ways to save money in your commercial building. That’s why we wanted to provide you with more information on areas that could be using up more energy than they needed. The building envelope is known as the space that separates the interior from the exterior. This is in regards to temperature, sound and lighting. The building envelope is important because of how much control it provides to a commercial building. If your envelope is thin, then chances are that all of the components in your building, are having to do so much more work. When you don’t have a thick envelope for your commercial building, it’s more likely that temperatures will fluctuate and that your HVAC unit will be doing more work than it needs to, which in turn requires more energy and costs more. your building envelope is something that can be pretty easy to do, but requires the help of an HVAC company and is better to do during the months where drastic changes in temperature are noticeable. You can always schedule this out for the of summer, when the weather will be so much hotter and your HVAC unit will be doing more work as is. That brings us to our next point, your HVAC unit. Every commercial establishment will require a high-quality HVAC unit to ensure that the space is comfortable, but it does require maintenance in order to make sure that you’re never losing money or wasting energy in doing so. With such a large space, you are going to want to make sure that you always say on top of the maintenance that it needs and any issues that do arise. 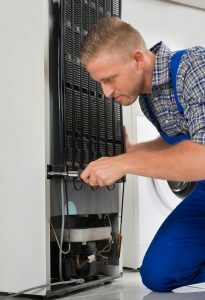 Calling a company like Valley Mechanical to check up on your unit can minimize the chances of any issues happening in the long run, which means you’ll save yourself from having to worry about more expensive issues that could arise from a lack of maintenance. fully aware of in order for you to be making the most of your building. If you can’t remember the last time that you had your HVAC unit checked out, then it is time that you call Valley Mechanical, located in San Jose, out for a check up. We can provide you with all necessary maintenance checks and manage any repairs that might need to happen. Call us today and schedule an appointment out for the near future, so that we can get there as soon as possible!